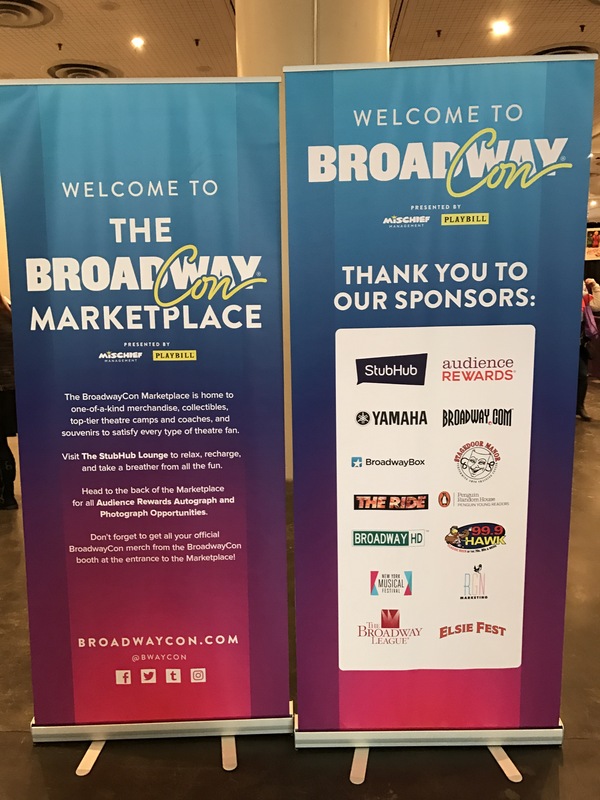 This morning, Tuesday, April 28, Mary- Louise Parker and Bruce Willis announced the 2015 Tony Award Nominations live from the Paramount Hotel’s Diamond Horseshoe in New York City. Parker, who is a Tony, Emmy and Golden Globe Award winner, will star in Heisenberg by Simon Stephens Off-Broadway at Manhattan Theatre Club beginning in May. Willis is set to make this Broadway debut this fall in Misery, a new stage adaptation by William Goldman of the acclaimed Stephen King novel. 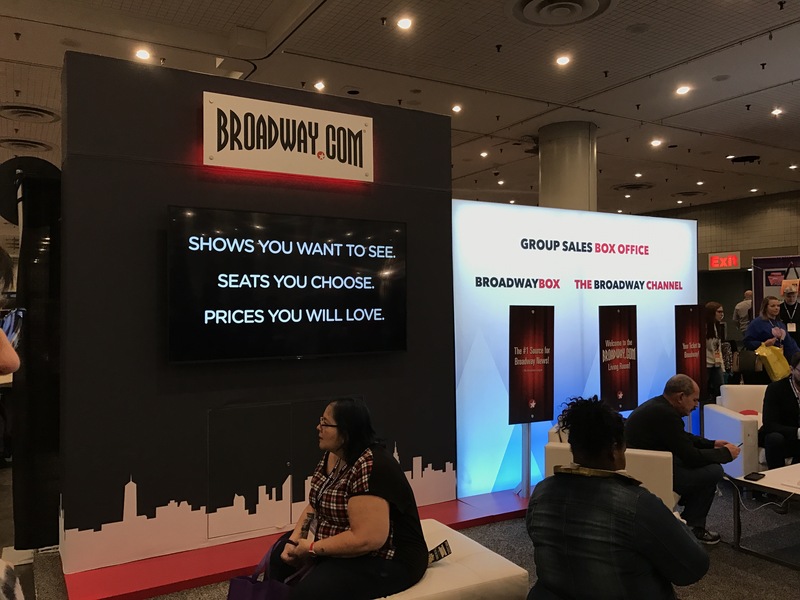 Productions that opened during the 2014 – 2015 Broadway Season on or before the April 23 cut-off date are eligible for Tony Awards this year. 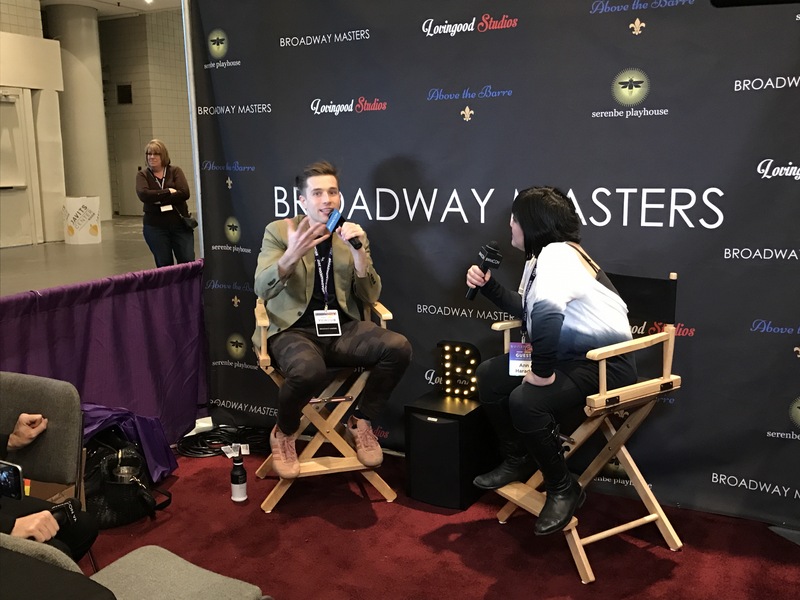 The 69th Annual Tony Awards, presented by The Broadway League and the American Theatre Wing, will take place on June 7 at Radio City Music Hall. The ceremony will be broadcast on CBS at 8/7c. 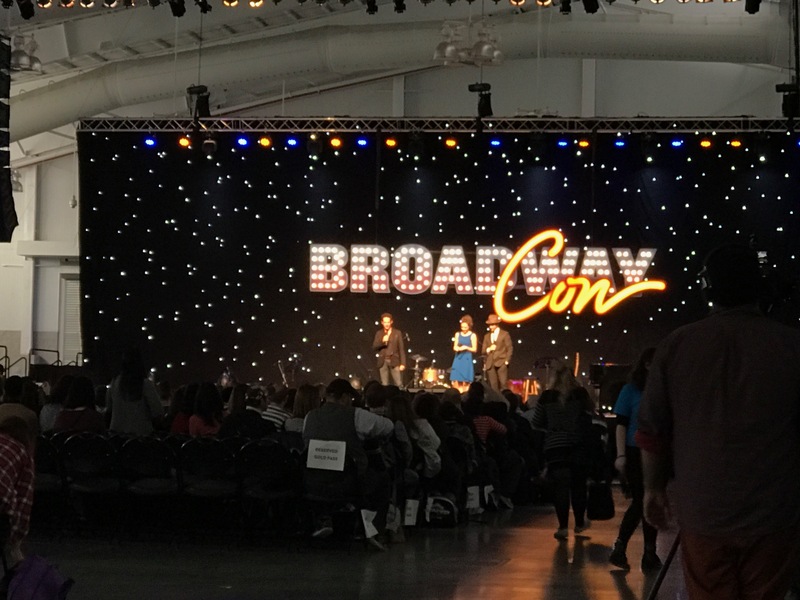 Broadway Voices series has brought some of the biggest names in Broadway to Garner since it began in 2011, including Stephanie J. 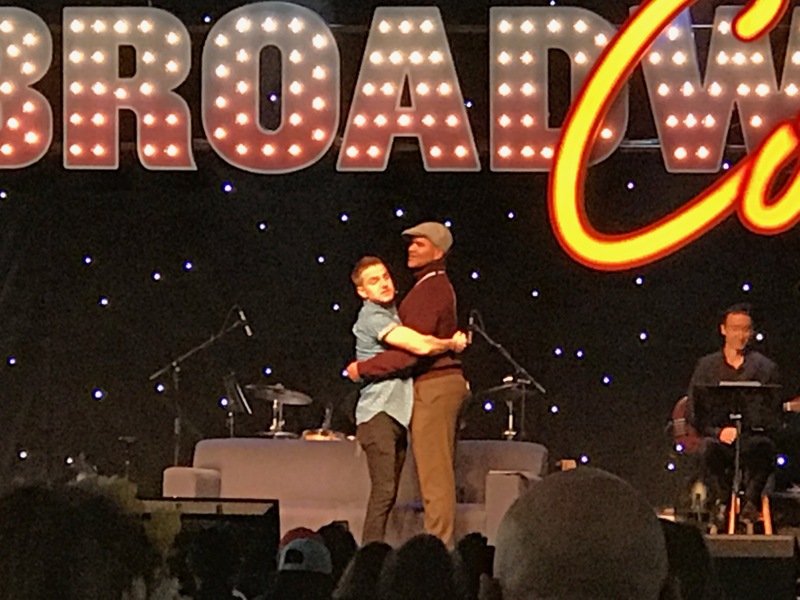 Block, Christiane Noll, and Norm Lewis. 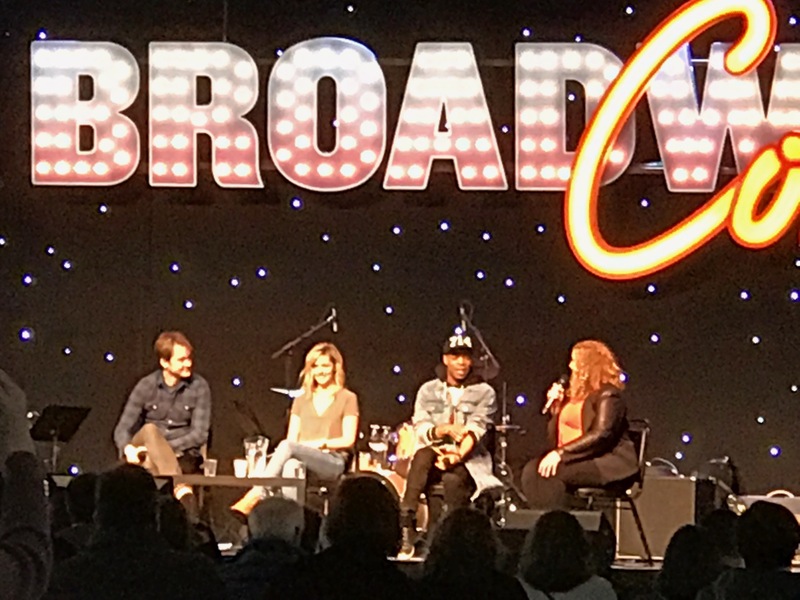 This year’s season was a spectacular one with guests Elizabeth Southard and Gary Mauer, Capathia Jenkins and last night’s final show with Alli Mauzey. We can’t wait to see what is in store for next season! 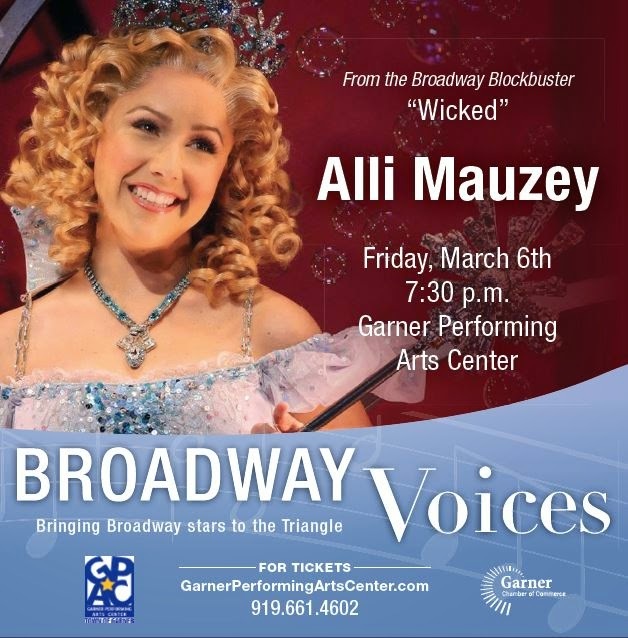 Alli Mauzey graced the stage at the Garner Performing Arts Center with her extraordinary voice and brought her good friend and fellow Broadway star Julia Murney with her to join in on the fun! Julia was Alli’s first Elphaba when she went on as a standby for Glinda. 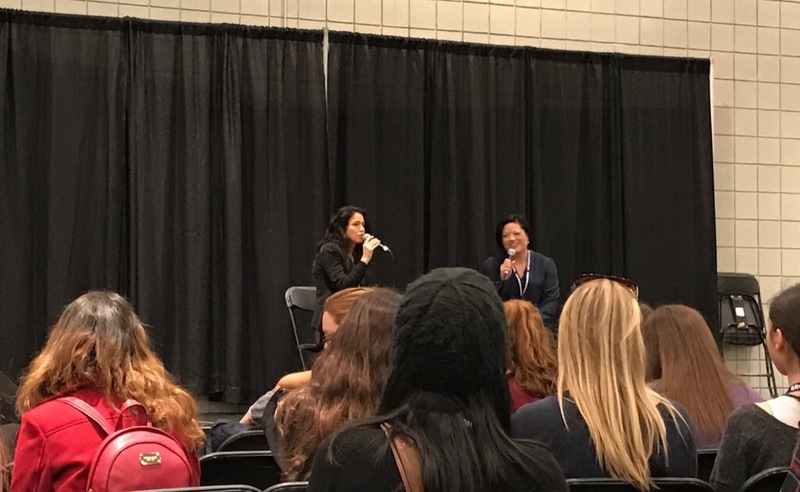 The two have palpable chemistry and are incredibly nice and genuine people! The night consisted of some old classics, some out of the box songs, and more modern stage hits. Alli took us on a trip through her childhood in Anaheim, California and led us all the way to present day Garner where her husband, Collin Batten, is from and where his family still lives. Alli’s Husband, Collin, came out to sing a beautiful rendition of “Suddenly Seymour” with her. Julia sang “Ring Them Bells” and Julia and Alli together sang wonderful renditions of “For Good” and “I Will Never Leave You”. This concert was a joy to be in attendance for and we hope we have to good fortune to see them in concert again sometime! 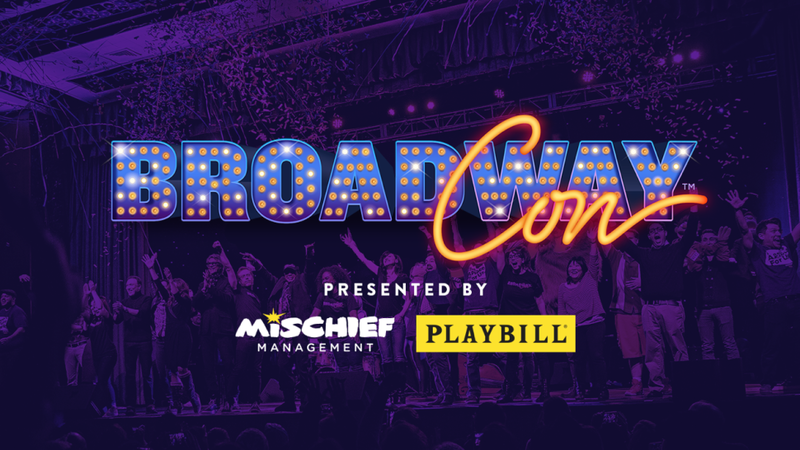 Don’t miss the announcement of next seson’s Broadway Voices guests! Follow GPAC on twitter. Stay up to date with Alli on twitter and Julia on her website and twitter. 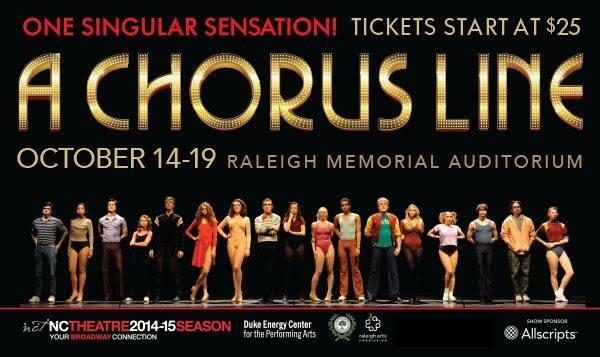 A Chorus Line is kicking off North Carolina Theatre’s 2014-15 season in a big way. 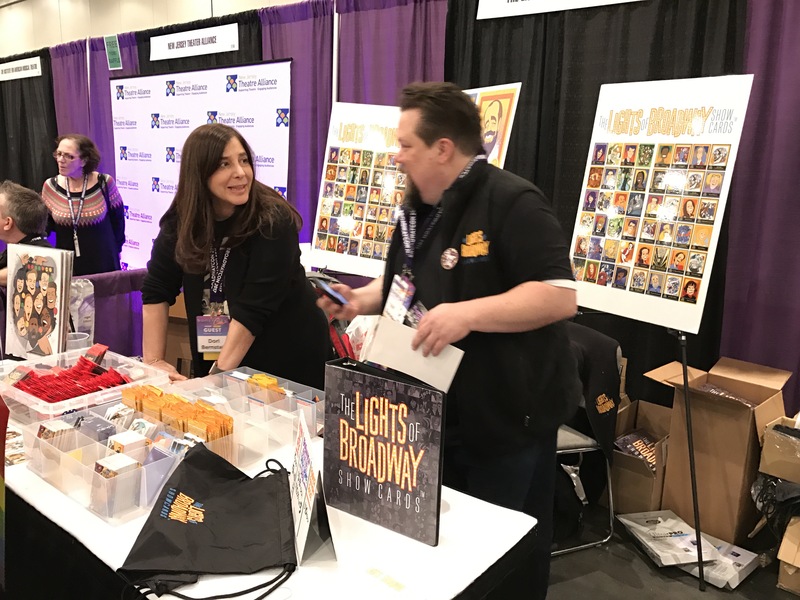 North Carolina Theatre is the region’s premiere nonprofit professional regional theatre and has been producing professional Broadway revivals for 30 years. The current season includes some amazing titles beginning with the singular sensation that is A Chorus Line. A Chorus Linetells the story of 17 dancers who are auditioning to be on the chorus line of an unnamed Broadway show. The show centers on the dancers’ struggles and determination to get the job. It is based on interviews of real chorus dancers by director and choreographer Michael Bennett. Bennett transformed the stories he heard from dancers into a groundbreaking musical hit. 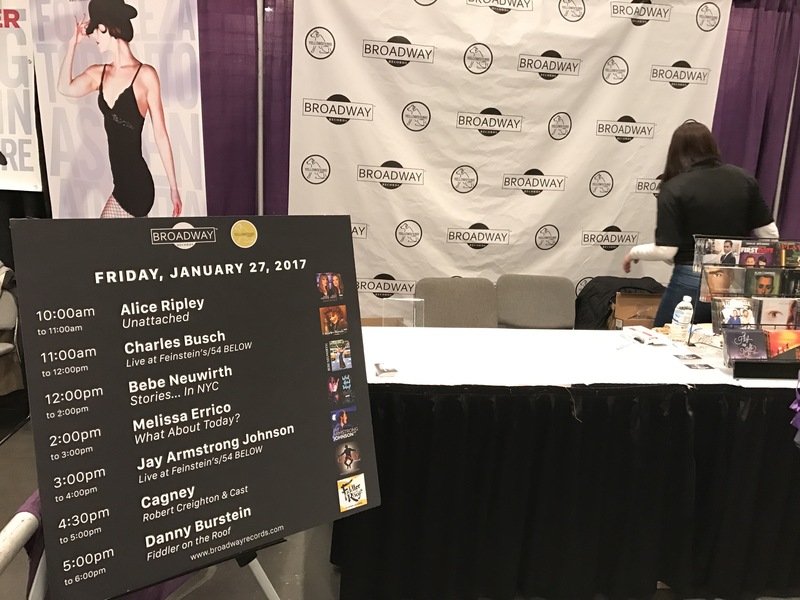 Each character in the show is based off of the story Bennett heard from a dancer. 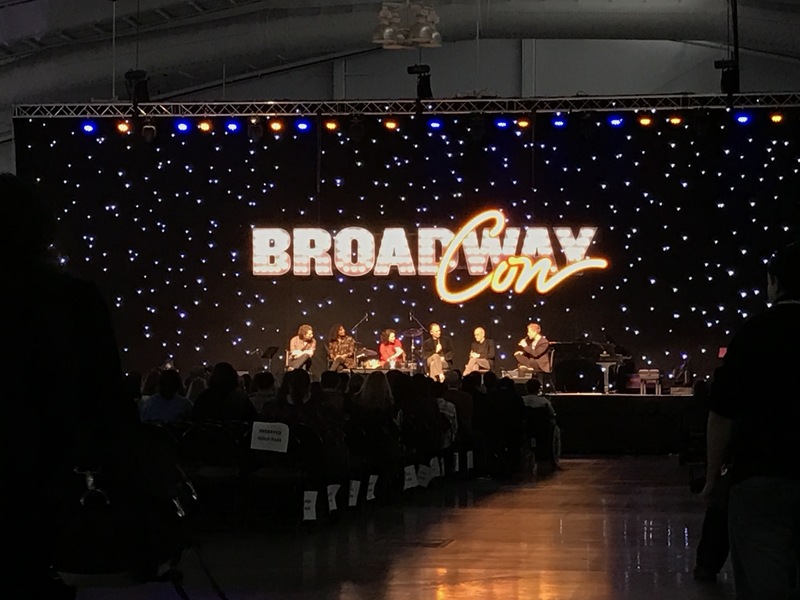 The woman who was the inspiration for the character of “Val”, Mitiz Hamilton, is the director and choreographer for NC Theatre’s production of the Broadway show. Hamilton also played “Val” on Broadway and in the original London cast, and has directed more than 40 regional productions of A Chorus Line. NC Theatre is known for producing quality shows with casts of Broadway caliber talent, and A Chorus Line is no exception. Every dancer in the show illuminates the struggles and hard work that it takes to be a dancer in the chorus line, while demonstrating the joy that comes from giving everything for your passion. Especially captivating is Jessica Lee Goldyn in the role of “Cassie”. Her dancing was fantastic and even when she is in the line your focus easily falls to her. The dance during “The Music and the Mirror” is long, but Goldyn’s movements kept it compelling throughout the entire number. Other standouts include Rachel Schur in the role of “Val” which can’t be an easy role to undertake when your director is the real-life inspiration for the character. Schur hits her lines spot on and had the audience rolling during “Dance 10; Look 3”. Hilary Michael Thompson played “Sheila” brilliantly and Alexandra Fassler in the role of “Diana” nailed the 11 o’clock number “What I Did For Love”. The show culminates in a quintessential musical theatre number instead of the usual curtain call. 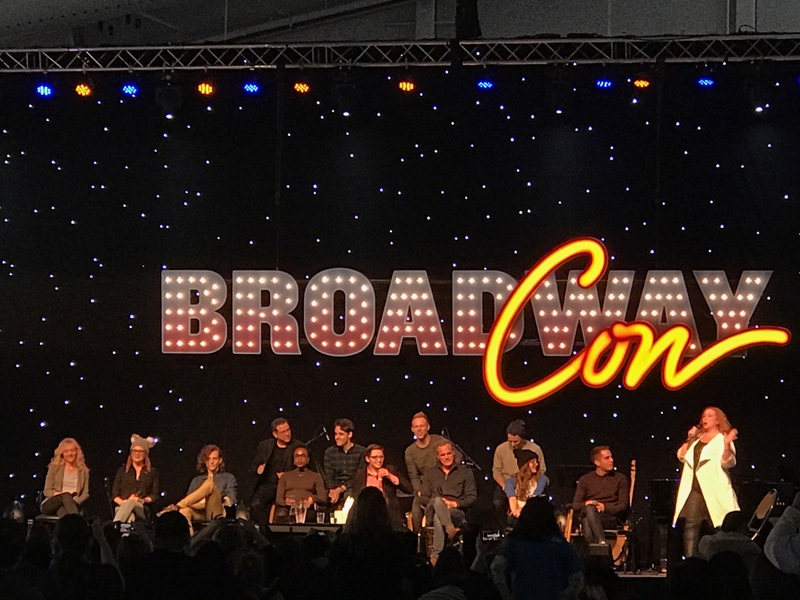 The final number is one of the best parts of the show and the set lends itself perfectly to making it a superb closing number. Long story short, Mitzi’s still got it! This production is well worth seeing! The show opened Tuesday night October 14 and runs through the 19th at Duke Energy Center for the Performing arts. Buy tickets HERE.